Total Basement Finishing of Connecticut is a certified installer of the Total Basement Finishing system - green products that will last you a lifetime. 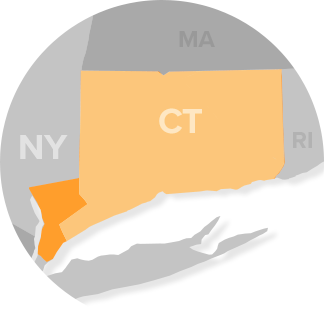 We offer free quotes throughout the Connecticut, New York and Massachusetts area, including Torrington, Trumbull, Groton, Norwich, Glastonbury, Wethersfield, Westport and many areas nearby. Call or e-mail us today to get started! To get started with a free estimate, call us or send them an e-mail today! We proudly serve Stamford, Norwalk, Yonkers and surrounding areas of Connecticut, New York and Massachusetts.